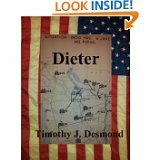 This entry was posted in Uncategorized and tagged Amazon, author, business, combat, family, fiction, Germany, intell, love, marketing, short fiction, Story, war, World War II, writing by timdesmondblog. Bookmark the permalink. Helping out a fellow California writer by re-posting his blog.